The 20-year-old Haitian-Japanese tennis player is the newest Brand Ambassador for the Nissan Motor Corporation. Naomi Osaka said growing up her Haitian father used to drive a Nissan, "so being able to be a brand ambassador now, it feels like I've come full circle," Reuters reported. PHOTO: Naomi Osaka at a press conference at Nissan Global Headquarters in Yokohama, Japan. Haitians will be happy to hear this since Nissan and Toyota are two favorite brands of the Haitian drivers in Haiti and the diaspora. 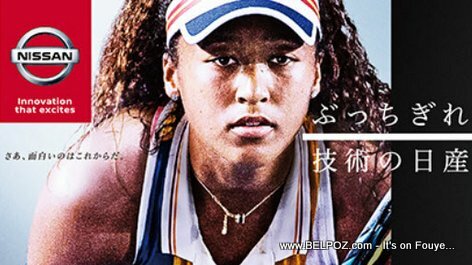 "This week has been a dream come to life, and I'm so honored to represent Japan and Nissan on the world stage," Naomi Osaka said. 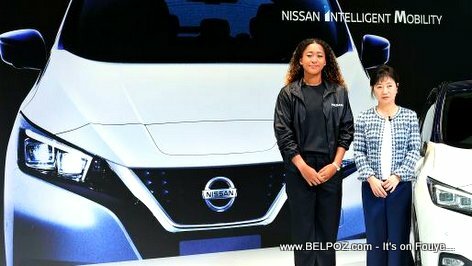 As part of her partnership with Nissan, Naomi Osaka will appear in global promotions and advertising for Nissan, and Nissan will support her activities as a tennis player, including providing Nissan vehicles at her tour destinations.